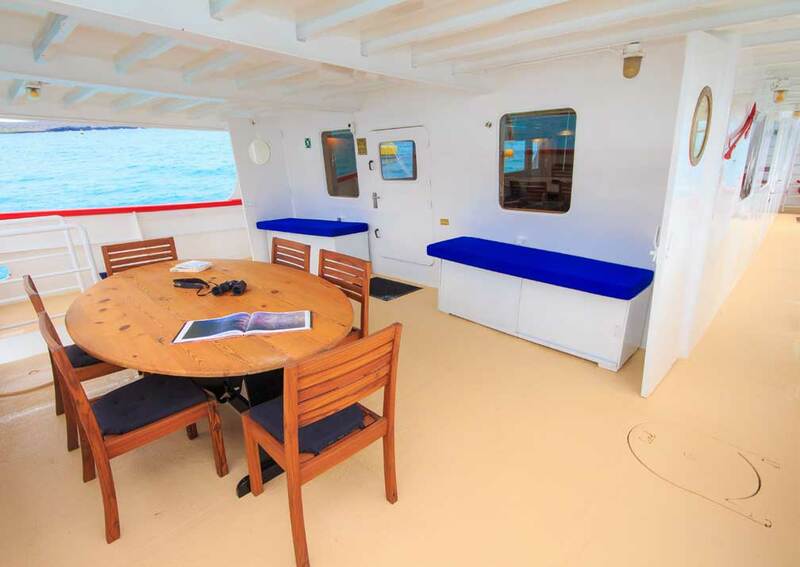 Relax in the salon and out on deck enjoying the views between island visits and snorkelling during your Galapagos cruise on Cachalote Explorer. This motor yacht was built in Vancouver and spent her formative years as a sailing vessel on the west coast of Canada. 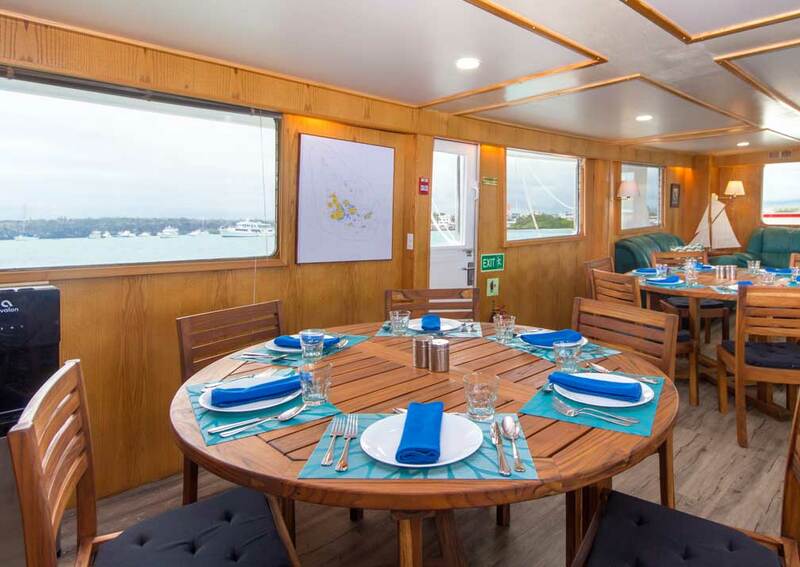 She has since been redesigned as a comfortable motor cruiser in the Galapagos Islands. 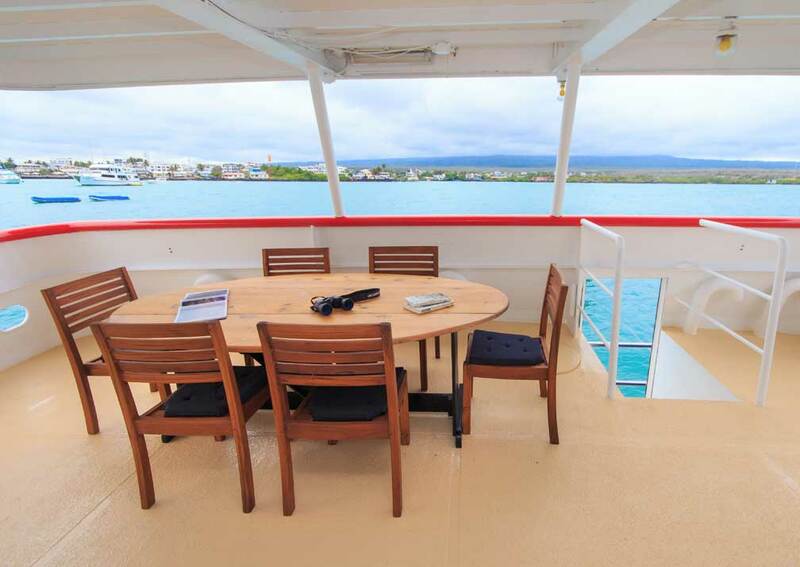 Cachalote Explorer has eight cabins of varying sizes to accommodate a maximum of 16 passengers. 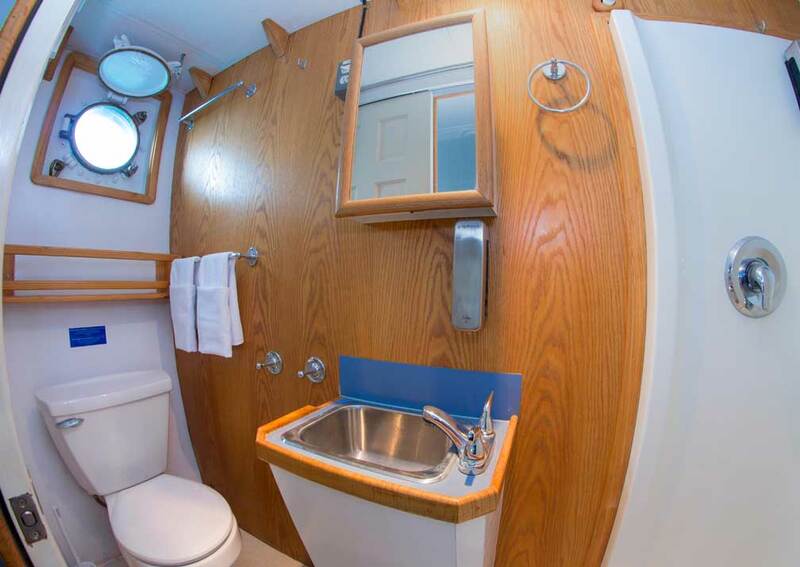 All are en-suite and have opening portholes to admit daylight and fresh air. 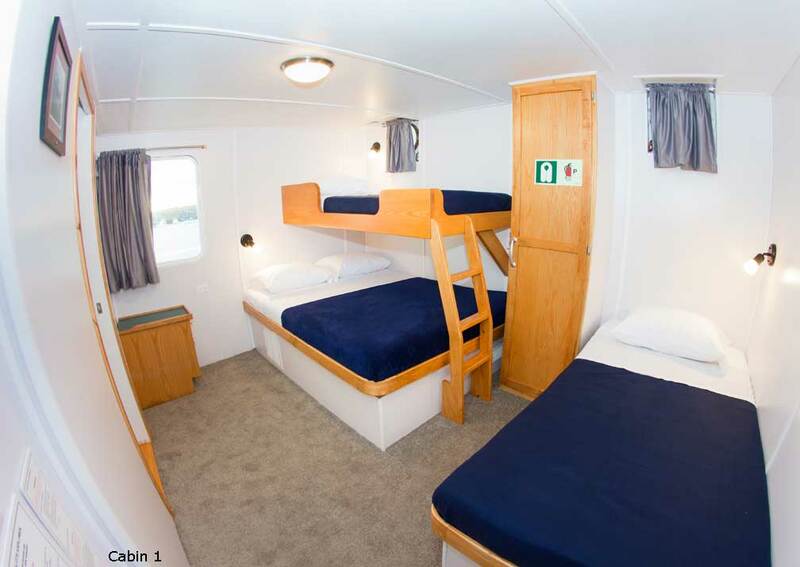 The two cabins on the upper deck also have a window. 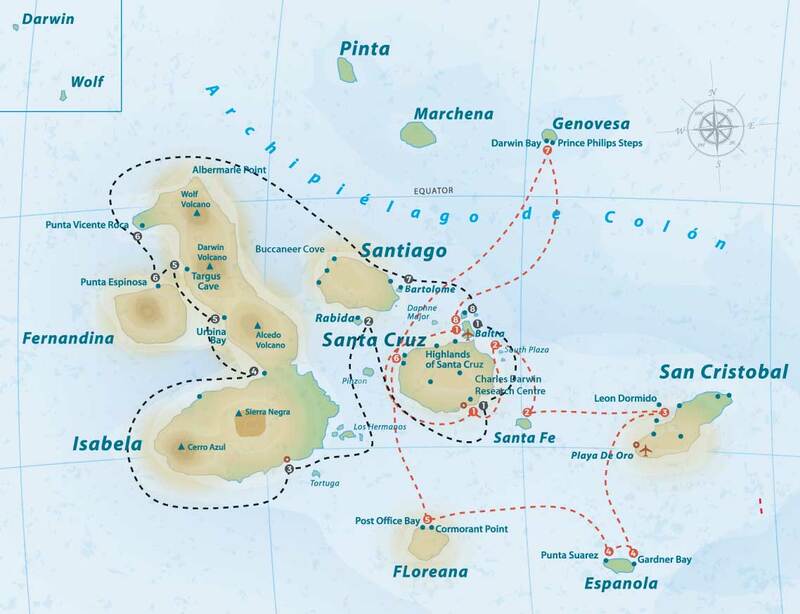 The naturalist guide leads twice daily shore excursions and panga rides. 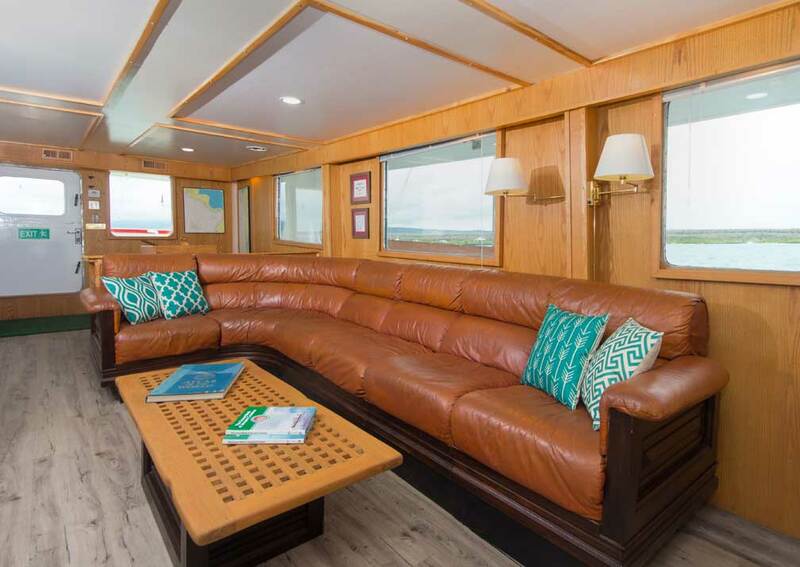 Between these you can relax in the large lounge-dining room, chatting with other passengers, looking through reference books and watching DVDs, and learning about the islands from the guide during the daily briefings. 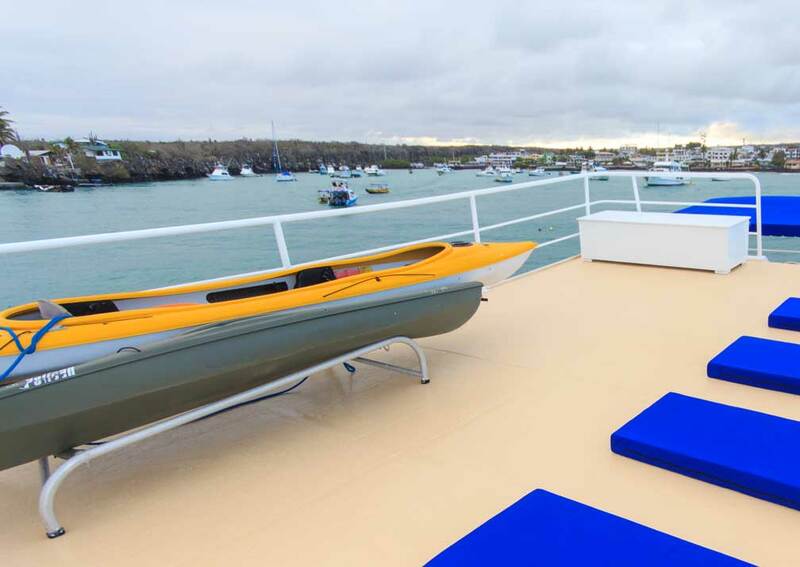 There are several open deck areas for al fresco refreshments, taking in the passing scenery and topping up your tan. 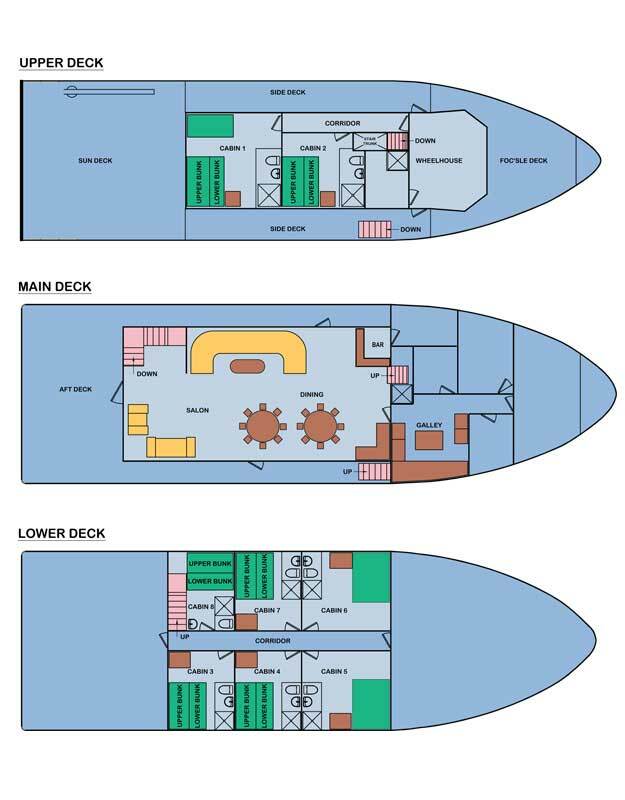 These social areas give the yacht a spacious feel. 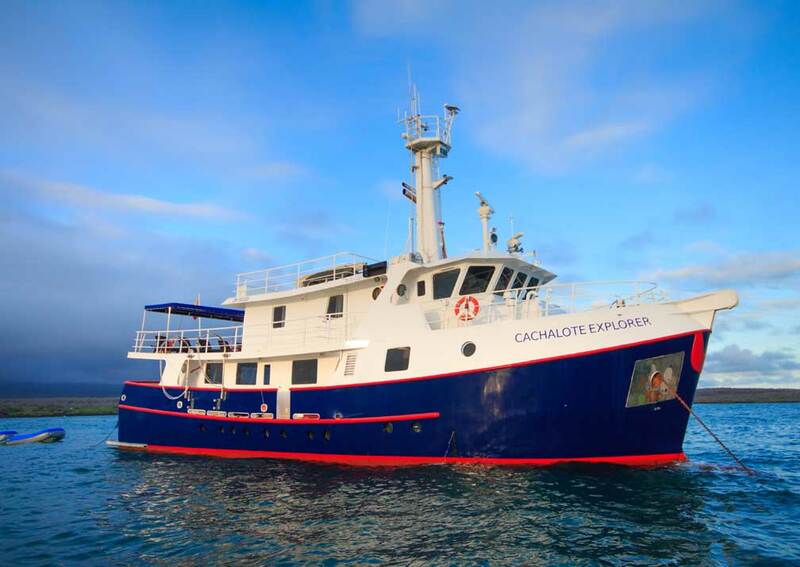 Cachalote Explorer has eight cabins. All are air conditioned and have an en-suite shower room with a hand basin, flush toilet and hot and cold running water. 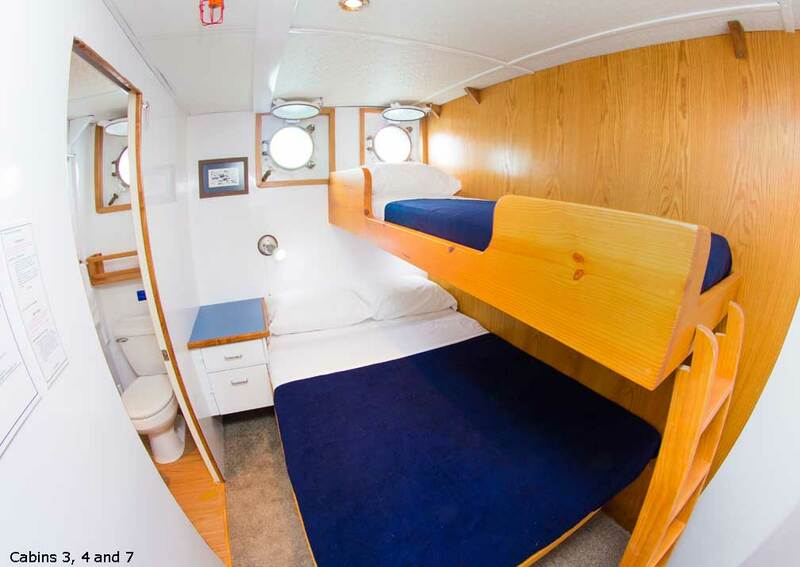 Cabin one, with a queen bed, a lower single berth and an upper single berth, and cabin two which has a double bed plus an upper single berth, are on the upper deck. 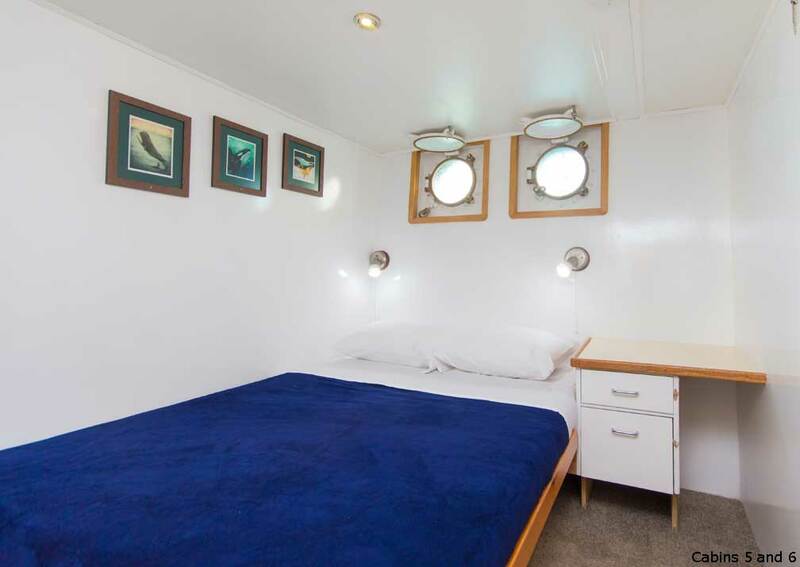 These cabins have a window and portholes. 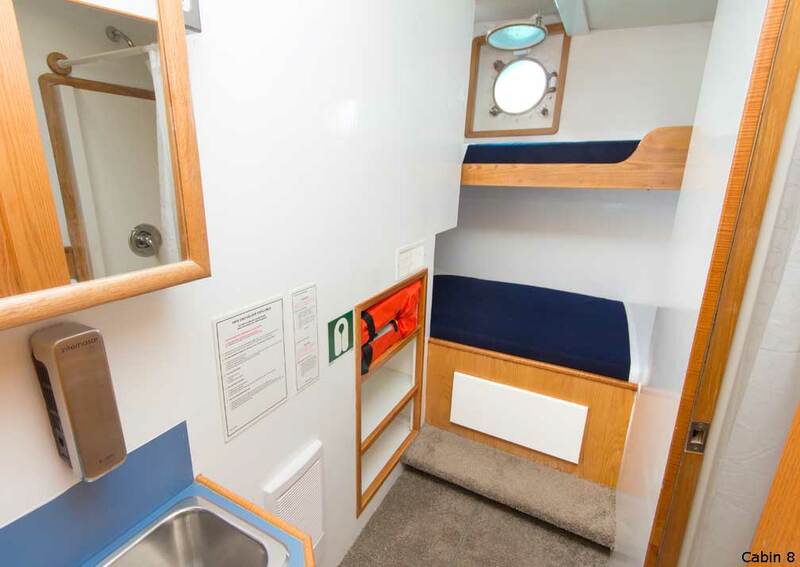 Cabins three to eight on the lower deck and have portholes, as opposed to windows. 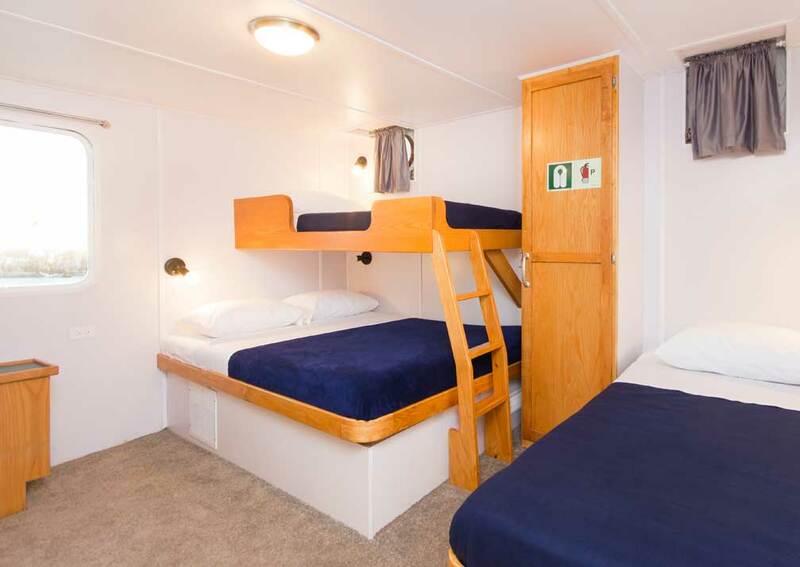 Cabins three, four and seven have a double bed and an upper single, cabins five and six have a double bed and cabin eight has a lower single and an upper single bed. 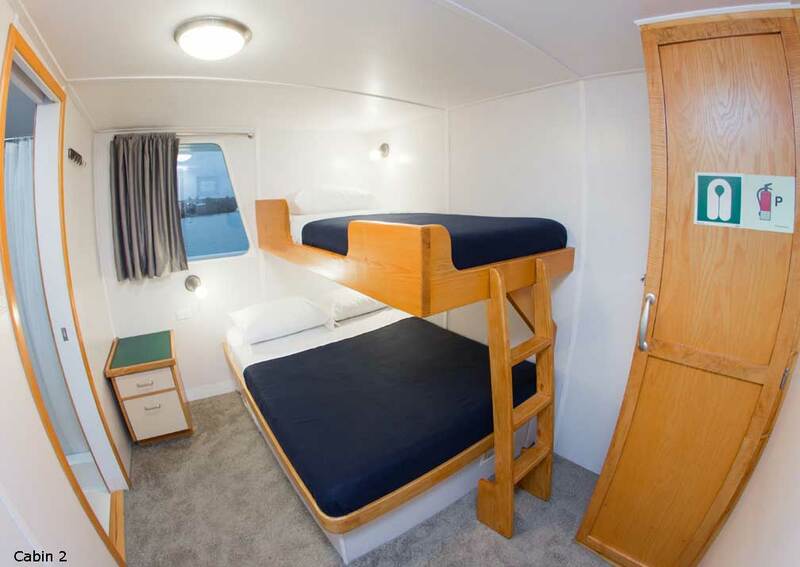 Accommodation: The eight cabins are arranged on two decks, with cabins own and two on the upper deck and the others on the lower deck. They vary in size and layout, and include twin, double and triple configurations. Each has an en-suite shower room. 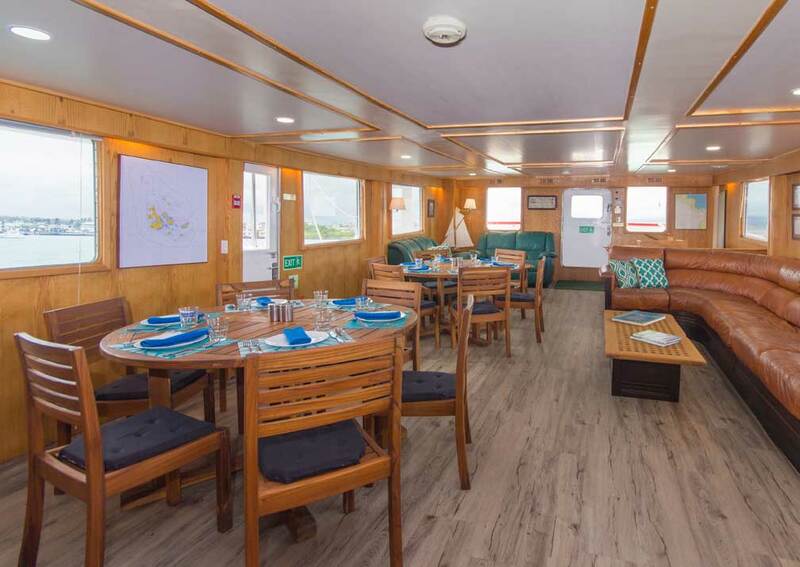 On Board: The air conditioned salon, with sitting and dining areas, a bar and TV, is on the main deck, which also has a open deck to the rear with cushioned seating, a table and chairs. 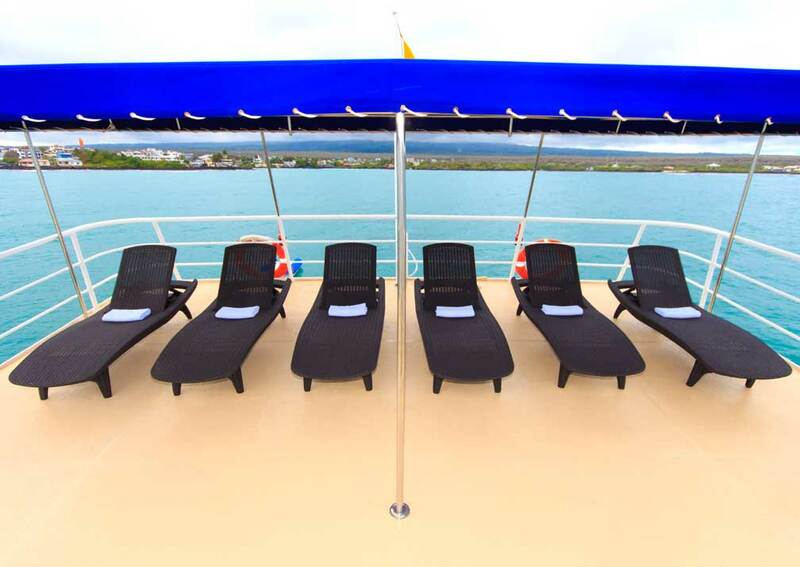 Above this is an shaded open area on the upper deck with sunloungers, and a ladder up to a sundeck. Cachalote Explorer has snorkelling equipment for passenger use.